We'll we've done it. Christmas is over. We have one more gathering with Dan's brother John and his adorable fiancee tomorrow night. We'll be doing another round of carols, and then we'll move on to year-end programming. I'm now wishing for a miraculously clean and organized house. Lucky for me, I got a helpful-looking book to assist with this task. 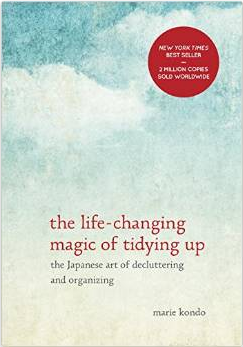 It's called The Life-Changing Magic of Tidying Up. Once I sit down for a few hours and read this book, I'm sure the house will magically clean itself. I would like to borrow the book when you are finished. I could use some magical cleaning too! I will get this book. I love stuff like this.